I work with local businesses to create cost effective, reliable and user-friendly websites. I design graphics, take photos and build websites for all kinds of clients. Quality local website solutions. Design, development, hosting, management, SEO, social media and Google. Contact Jeff today to discuss your requirements and for a free quote. Microsoft and NYSICT trained engineer offering repairs to all makes of laptops and PCs including iMacs. Computer sales. Network and security issues. Website Design & Hosting. Fully insured and DBS trained.No call-out fee. Best price and sefrvice guaranteed. All computer, laptop and notebook repairs. All broadband, internet, wired and wireless issues solved. Anti-virus solutions. Viruses removed. Refurbished computers and laptops with full warranty and free installation. Highly recommended. Local. 20+ years experience. Business and domestic. Wireless & internet specialist. Wireless hotspots. Security. Hotels and Guest Houses. We have been working in the IT industry since 1983 and have a wealth of knowledge and experience to help you with all your computer related issues - troubleshooting problems including virus/malware issues, computer health checks, broadband and wireless setup, hardware/software updates, home and business network setup. Call us today. No call-out fee. 10% senior citizens discount. Your one-stop-shop for ALL computer related issues. A friendly professional service from a name you can trust. Servicing and Repairing Computers Since 1998. Pop in and see us at our newly refurbished showroom today. New and Used Laptops and Computers. Laptop and Computer Repairs and Upgrades. Virus and Malware Removal. Established in 1986, the Conversion Company is one of the longest established and experienced Website design and development companies in Whitby and the North East of England. We have been succesfully building websites in Whitby since the mid-nineties. 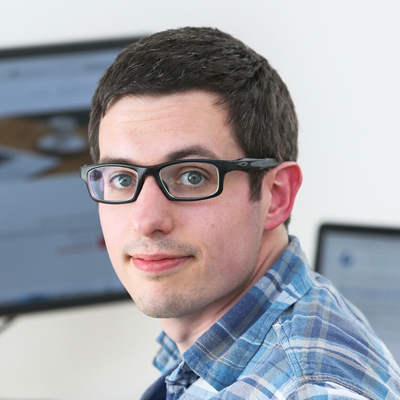 I am a website developer based in Whitby, North Yorkshire, offering website design services tailored to suit the needs of your business.